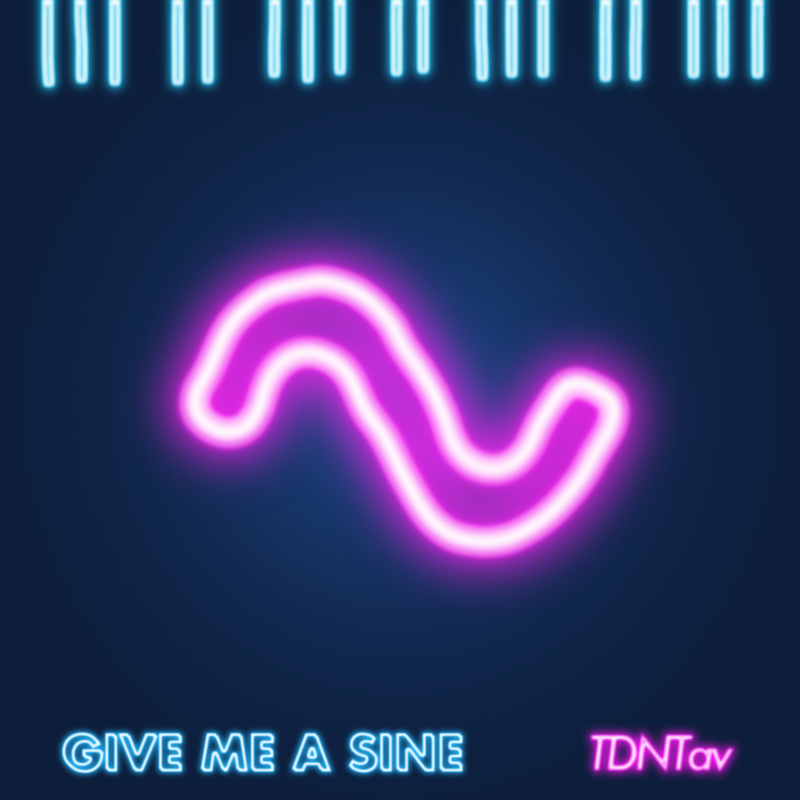 Most of GIVE ME A SINE was composed and arranged in a virtual space, utilising sound synthesis, sampling, and heavy processing. Inanimate objects and abstract concepts become totemic symbols on a vision quest, as the disembodied artist searches for his humanity in the guts of the machine that has swallowed him, and all of us, whole. I’m posting this thirteen years to the day after I saw Joanna Newsom’s solo performance at Green Man Festival. It was 2005. There were around two thousand people standing in a field in Wales. I was one of them. Joanna Newsom was playing the harp and singing on the stage. Nothing else was happening in the world. Nobody dropped a pin, at least not that I heard. Most of the album is harp and vocal, direct and intimate like you’re in the room as she plays. The harp playing is virtuosic, the songs lyrical and dense, anchored in deep traditional folksy roots. There are spine-chilling moments of transcendent beauty, hewn of rough honesty. Joanna Newsom’s singing is distinct, different from later albums. Maybe it’s a little affected. I don’t care, I love it. Listen to it now. Get everything she’s ever done. That is all. The human mind has a staggering capacity for pattern recognition. We see familiar patterns wherever we look, even when they are not present. The most familiar pattern is the human face, or any face, it could be an animal. Some little part of our brain is dedicated to constantly scanning our visual field looking for two eyes, a nose and a mouth, or anything even close to that. In complex systems, we can’t help it, we perceive pattern matches that arise from sheer randomness. In billowing smoke and flame, we can see devilish faces flash in and out of existence. If we stare at the ground in leafy shade, we see mysterious visages and hear them creaking in the wind. In the textures of nature, we always see ourselves, our best friends, our worst fears. We all see Mustafa in the clouds. There are plenty of other places on the internet where people have compiled whole libraries of exactly this… things that look like faces. It’s a human obsession. I like to snap the faces I see, or rather the things that look like faces. It’s an infrequent habit. So I’m going to share some of my own on this website. This is what catches my eye when I’m out and about. Showing them to people is oddly banal, like telling someone your dream. We all think our dreams are interesting, no one else does. But Things That Look Like Faces is at least a lot quicker than dreamsplaining. It only takes a sideways glance. I get giddy little thrills from seeing things that look like faces, from realising that I am seeing things differently, engaging in an unconscious leap of imagination. So I reach for my smartphone… my cameraphone… I think it’s safe to just call it a phone now. This has been the first exciting episode of what will probably be a recurring series. I’ll be back next week or next month or whenever with another blog post (this one was so boring!) and some more of my very own… Things That Look Like Faces. I may change the format. The new format will be… a new format every week. Look, it’s a blog post. No, it’s a podcast. Nope, it’s a video. Whoosh, it’s a vertical video. Anything is possible because things look like faces. There could be nothing more Ireland in the eighties than the incident at Ballinspittle, County Cork, where a statue of the Holy Virgin Mary, Mother of God, was said to have moved of its own accord. Nobody had multi-channel in those days, so there wasn’t a moment’s hesitation. My parents bundled up the five kids and we drove for more than an hour. We all sat on a hill waiting to see a holy vision, like hundreds of other pilgrims replete with hang sangwidges, bockles of orange and picnic blankets. Let me tell you, if you’re five years old and you stare at anything for a whole minute (let alone several hours) you will think it’s waving at you. You will hallucinate out of sheer boredom and suggestibility. The Wikipedia page says Many visitors claimed to have observed the spontaneous movements. The Catholic Clergy in Ireland maintained a neutral stance in regard to the authenticity of the claims. I don’t know anything about the original claims, but I think when I was there the only witnesses were young children (myself included). The statue was a cheap babysitter and a cheap day out. The rumour was probably started by a local shopkeeper to sell more bockles of orange and rosary beads. It was like something from an episode of Father Ted. It’s amazing I turned out so well adjusted, when you consider I believed such silly nonsense. You see, I was raised in a country where a fanatical cult run by hypocritical monsters shielded and facilitated paedophilia and other abuse for decades. That kind of dawned on me (and everyone) in the nineties. That was the last real decade of the rosary bead (though the old folks still carry on the old ways). I’m not nostalgic for a time when Catholicism had such a hold on people’s minds in Ireland. But I could murder a bockle of orange. Just to get a sense of what it was like to be Irish and Catholic in the eighties, you should just stare at the image below for at least a couple of hours. Give it a try. The album GIVE ME A SINE came out in 2015, but I’ve only just got around to making a video for the song Bang Goes The TV. It’s a video mashup. I hope you like it. Please subscribe to my new YouTube channel (you may be the very first) and share the video on social media. Maybe then I won’t die in abject poverty. Buy the album while you’re at it. This instrumental post-rock album came out in 2007, but I only heard it after I saw Explosions In The Sky at ATP in 2009. I became obsessed with this album. It’s music to get lost in, rich and atmospheric. I used to put this album on when I was going to sleep. Though it’s sometimes loud and raucous, I still find it melodic and soothing. I keep returning to this album after nearly ten years, so I’m going to go ahead and recommend it to you. Find it in your preferred music format or platform.